Q&A: Are all the Facebook scams you write about real? It's hard to believe there could be so many of them! Q&A: Are all the Facebook scams you write about real? It’s hard to believe there could be so many of them! Question from Ellen: I’ve been following your blog for a while now, Rick. It seems like you write about a new Facebook scam or hoax at least a couple of times a week. I always forward them to my sister to make sure she sees them, but the other night she asked me to stop. She said there can’t really be that many scams on Facebook because they keep them cleaned up. I got to thinking about it and it does seem like there are an awful lot of them. Are you sure they’re all real? Rick’s answer: That’s a great question Ellen, and you aren’t the first person that’s asked it. I agree that it seems like there are a LOT of scams and hoaxes making the rounds on Facebook. But that’s because there really are. 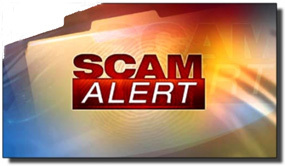 In fact, the relatively few I write about in my Scam Alert posts are just a proverbial drop in the bucket! Truth be told, Facebook really is awash with scams and hoaxes, and unfortunately it always will be. As you probably know, Facebook currently has over 2 billion users worldwide. While the vast majority of those users are honest and will never start a scam or hoax, a small percentage of them do. And on Facebook a small percentage adds up to a LOT of scammers! I have no idea what actual percentage of Facebook’s users are scammers, but let’s just choose what’s likely a very conservative number: 0.5%. As it turns out, 0.5% of 2 billion equals 10 million. That means if only one-half of one percent of Facebook’s users are scammers there are a whopping 10 million of them! But human nature being what it is, the actual percentage is probably higher. No one knows for sure how many scammers there are on Facebook but the number is obviously (at least) in the tens of millions. That translates into a LOT of scams and hoaxes being perpetuated on all the honest Facebook users. Facebook’s algorithm does try to detect scam and hoax posts and instant messages when it can and delete them. And their employees act to remove them manually when they’re reported. The problem is the sheer volume of malicious posts ensures that it’ll always be an uphill battle. Bottom line: Every scam and hoax I write about is real. I would never make one up for any reason. My goal in writing my “Scam Alert” posts is to warn as many people as possible to the dangers of falling for them. While most of the hoaxes I write about are more irritating than dangerous, they still make Facebook a less pleasant place to hang out. In regards to the outright scams, real people can (and often do) lose real money and suffer real hardships after falling for them. And now, one final note: If there’s ever any doubt about whether a particular scam or hoax is real, all you have to do is verify it with a Google search. I’m a huge believer in transparency and I never get upset when one of my readers feels the need to seek independent verification of the things I post. While I’ve uncovered a few hoaxes and scams on my own, most of them are brought to my attention by news reports and/or posts on the various Internet Security websites that I monitor. I hope this helps, Ellen. Good luck, and stay safe! Bonus tip #1: This post explains why you should ALWAYS assume that everything you post on Facebook can be seen by anyone on the Internet.